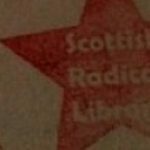 The Scottish Radical Library (SRL) is based here at ACE and can be accessed during normal opening hours. Further details of the SRL lending library can be found on our website. We encourage people to come along and browse both the library and the other resources ACE has to offer. Alongside the SRL we also house the ACE Autonomous Archive – a rich repository of radical historical materials which is also available to the public. Although archive items cannot be taken from ACE, they are fully accessible and can be scanned/photographed free of charge. We sometimes hold other events which are listed on the ‘Events‘ page. We welcome all to come and find out more. If you’d like to volunteer to help out with the library, get in touch and we can discuss what kind of help we’re looking for. Sadly our searchable online library catalogue is no longer available. However we do hope to replace it in the foreseeable future.